Liberal junior quarterback Jared Hasik is the Mead Lumber Athlete of the Week. 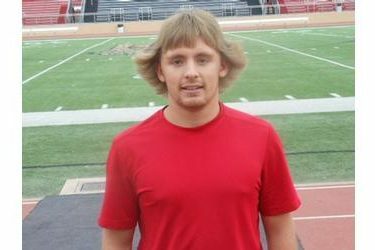 Hasik had thrown for over 100 yards in each of the past four weeks since LHS implemented a pistol formation. Hasik has passed for 879 yards and 10 touchdowns with three interceptions this season. He has rushed for nine touchdowns. He is also an all WAC baseball player and a member of NHS. Hasik and the 4-5 Redskins went 3-0 and won the district 8 championship after a 20-0 win at Ark City Friday night. The Skins host 7-2 Maize South Friday night at 7 with Redskin Pre-game at 6 on 1270 and kscbnews.net.